» Benefits of a REAL Online Business. So it’s been about 10 weeks since I spent more than 2 hours sitting at the computer. Was I on holidays in the Caribbean living the Internet Marketing lifestyle? Unfortunately not this time round. It was something way better, at least in the long run and something I’ve worked extremely hard for. So the reason for this blog post is a sort of apology to my subscribers, customers and followers. At the end of October 2016 I got a phone call from the bank where they presented an opportunity to purchase our first dream home. Excited as we were we setup an appointment to view the house the following week. First impressions were, holy crap, this place needs a massive amount of reforms. No doors frames, no electric, water issues, new floors needed, new kitchen, new bedrooms and build an office just to get the ball rolling. For me, I taught. Nah too much work, so I took the price of what I taught the house was worth, less $40,000 for reforms, less another $30,000 because I wanted to put in a super low offer. We left thinking that was the end of that. Just 5 days later the bank told us the offer was accepted and it’s time to prepare the paperwork. 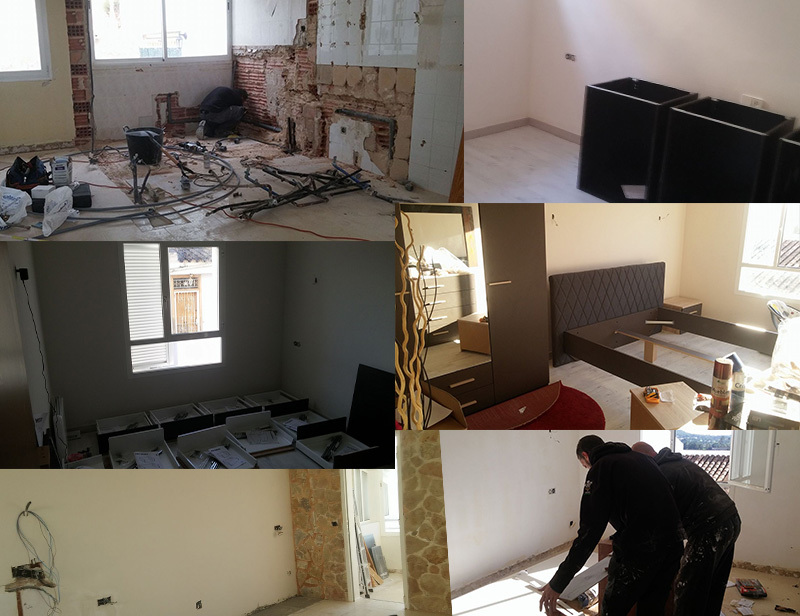 To make a long story short we got the keys on November 15th and the work began. Here’s probably a great time to thank our office manager, support manager and JV manager James Price. James joined our team 12 months ago and proved his worthiness with a wide range of skills including customer support, design and video production. It ends up he’s a master when it comes to construction work and took complete charge of the house reforms. So if anyone’s wondering where the hell James has been, well just like me, getting his hands dirty grinding on building site the last 2 months. So before I get into the benefits let me tell you straight off that over past 3 months our business is down close to $40,000 in revenue. 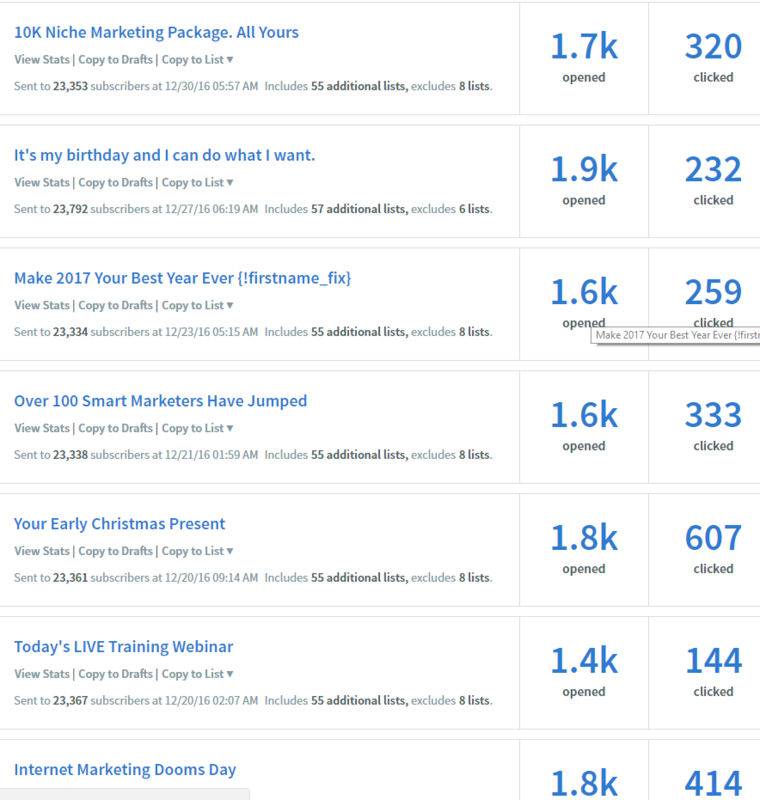 Mostly from not promoting many affiliate offers and missing one scheduled launch. On the upside our business was still able to generate multiple 5 figure per month over the past 3 months. Why am I telling you this? Well this is the benefits of REAL online business. Did I walk away from support, stop helping my coaching clients and stop emailing my list. Never in a month of Sunday’s. No way sir. So here’s the steps I took to continue running my business. I toned down on one on one coaching and took on no more clients. I continued working one hour per week with my inner circle coaching clients. I spent 20 minutes clearing emails and support every morning. I spent 20 minutes preparing a promo email 3 – 4 times per week. Breaking it down, Monday to Friday I would work 45 minutes in the morning. On Saturday I would spend one extra hour doing a live training webinar. I must say at the beginning it was a struggle thinking I needed to complete ALL tasks like I did before but in a few short weeks I stuck with what’s most important. So in total I would work around 5 hours per week on my online business. So what allowed the business to generate 5 figures per month while just working 5 hours per week. The assets that we spent time and money building. The Email List – Instant traffic and money on demand. I covered this on my live coaching calls recently so people can see for themselves the power building an email list. It’s a simple MUST DO. If you’ve not building an email list and interacting with them this is your first biggest mistake. Put everything you can into building your subscriber database. For years this has proven to be my most important asset. The email list allowed me to write a quick email, click send and get paid at any time I wanted. Membership Sites – We’ve two membership sites. (Download PLR Products & IM VIP Training) which bring in close to 5 figures per month in recurring revenue. To maintain any membership you simply need to make sure that more members join than leave in any given month. We’ve been keeping tight records for years and always know when our recurring income needs a boost. 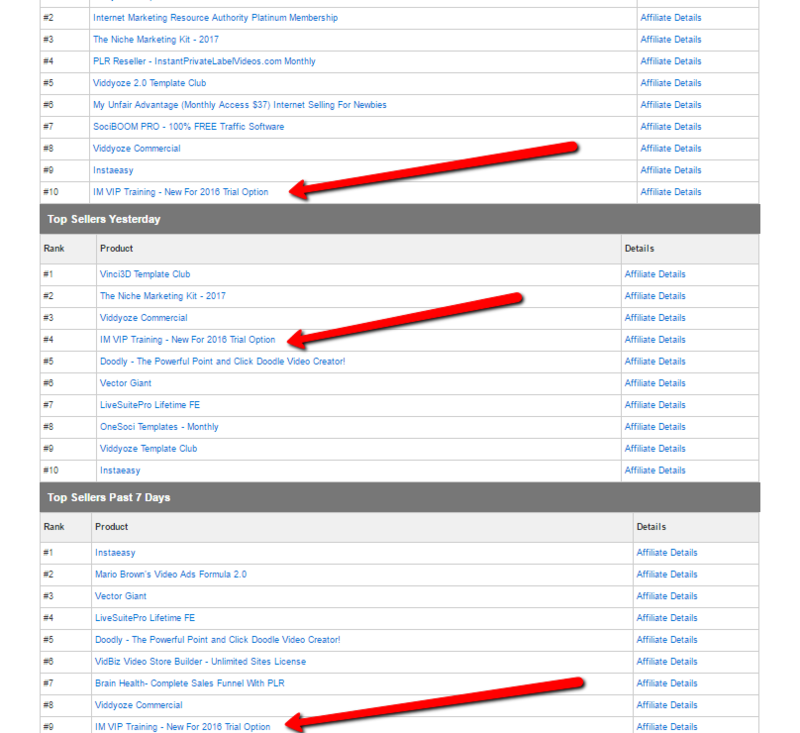 When this happens we simply run a promotion for our affiliates. We did this in December and added an additional 200 members to IM VIP Training. Your Own Products – Let it be information marketing products or just software. Consider them online real estate that can bring you in revenue time and time again. The more properties you have the more income you make. In some cases I see marketers launch a product and after a week it simply gathers dust and no longer sells. We integrate all our offers through our blogs, membership sites, upsells / downsells, followup emails etc, meaning our products continue to sell. There’s a big difference between selling a information product / software or selling a service. Let’s take consulting, copywriting, design work or anything the requires manual work or time. It would never work as I did not have the time to complete. But when you’re selling a software or info product everything is automated. The customer pays, they are automatically delivered access, the money goes to your PayPal. Completely hands free income. Everything above got me through the past 3 months with flying colours but here’s the most important part. I created a plan. The past 3 years we plan our business for the following 6 – 12 months. We write out our goals, the products we plan to launch and offer we plan to promote. Come the end of March we’ll be releasing our first ever video training product which I’m really excited about creating. Unfortunately that’s the end of the plan for now but it has allowed us to go straight back to the office knowing exactly what we’ve to do for the next few weeks. The main idea of this post is to show you the power of building a real online business. A lot of people out there are skeptical of what they read online, not believing the success stories or what’s really possible. My success online is a pinch of salt compared to what’s actually possible so never give up hope in your dreams. If you’re looking for guidance, help and support in building your online business click the banner below to sign-up for some free training. If any justification were needed for a continuity program (membership site) or two, this article shows it. Nice to know Kevin that your IM workers turn out to have other useful talents too. Once you get totally settled in, I’m sure you’ll soon make up the lost income. Showing your email stats is a good thing for those of us who think that less than 15% open rate is something tragic. 8 – 10% is something more achievable and takes a lot of worry off my mind, since that’s what I’m getting too – albeit off a much smaller list than yours. Great to know that you haven’t let any of your Inner Circle people down either during your transitions. Good going Kevin. Hope it all keeps going well for you. Hey Kevin can James fix squealing taps in my shower. Thanks for this post it gives me a reason to keep moving forward. It is very important to have recurring income to pay the bills and also to perform the money making activities so the dollars keep coming in. I am really looking forward to your launch. Have got my affiliate link ready and waiting. Very, very informative posting Kevin. Most people won’t spend $100.00 on traffic to build a list. Knowing what is possible, I’d spend 10x that building a list to the number of opt.ins you have. Jeez, 1 month and you’re making your money back.